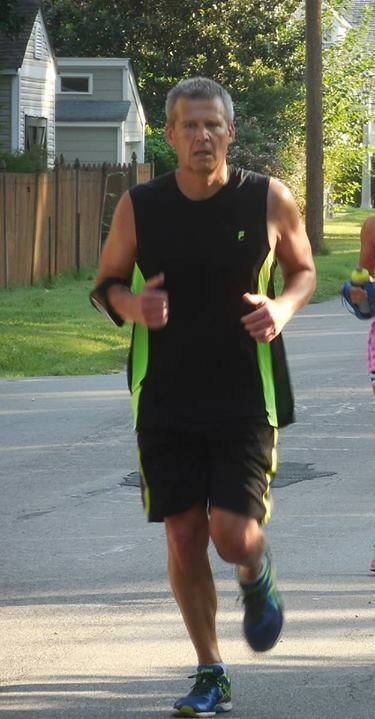 Training Run in August 2015, and the struggle to run 16 miles for the first time…got there! It was the summer I was turning fifteen: ‘If we don’t operate and get it corrected, your life will be short and difficult.’ That was the prognosis from one of the surgeons who reconstructed rib cages. Mine were growing in a way that restricted lung capacity. When I heard it, could not believe it. My Dad either. When I played sports, I had trouble breathing as could not get CO2 out quick enough. Dad struggled to think what it could mean if he decided to go ahead or not. If he went ahead, scars for life with metal in my ribs while still growing. If he decided to forgo, either the doctor is right or a walk in faith. An agonizing and tough call for any parent, single or married. It was a struggle. Though always active, I started long distance running in January 2014 that was inspired by a person I never met to persevere on the open road unknown, where both fear and hope can traverse both sides. I have since run two full and four half marathons, and lots more miles training for each one. I truly never thought could run more than a few miles, and I am sure neither did that doctor. Running for an hour or more allows time to reflect, akin to blogging on the run. I know for certain that when it comes to getting through our struggles in life, they are best done when we run as one as pain can be rewoven into purpose. So strength, where does it come from? Whether it be physical, mental, or emotional. Having spent seven years as a single parent, a run down can look like this: You have just worked all day, and had not such a good day in the first place. Get home, have to get one child to basketball, the other to gymnastics, get dinner on the table, make sure homework is taken care of, get some house chores done, and then say good night. Ah, time to yourself…you say ‘Kidding, right?’ You may not feel like much of a success most days and when you do get a moment to pause you think about how you always wanted to find out how tiring total exhaustion can be. Then again, is that why you are stronger today than you were yesterday? Have realized that strength does not come from success, whether it be a run, running a house alone, or anything else. As I take long runs on the weekends, it requires fuel; every mile, quarter-mile, tenth of a mile. What is your strength’s fuel? Struggle. And without struggle, there is no strength. As I look around my family and friends I have grown close to as I relied on them through my own struggles, what I admire is that they are grounded, genuine, wise, strong, and authentic. I am grateful for my wife Angela, who has shared her struggles with me and how she got through a stage 3 cancer, which has given me a new appreciation to just be still and listen to the wind. They have all known heartbreak and have gone through storms and fog in their life. They have gained an appreciation and understanding of life over time, and are passionate and compassionate. When hard times hit, can be defined by it or be strengthened by it. Your choice. Pain will happen, it hurts, and fuels growth – Pain is real and part of us, and when felt wakes us up. How you carry it is what matters, it is just fine to feel it as it would be fine to feel loved. You will only learn how strong you are when being strong is the only choice. Yes, pain can leave scars, however as you grow stronger you will see the beauty in the strength of scars. Your Mindset – Who expects life to be wonderful all the time? Raise your hand. As I remember the painting my Dad had in our living room in Singapore of ocean waves crashing against a rugged coastline of rocks, rising and crashing waves are part of the same ocean. Recognize this and know ups in life require downs. An imperfect life, with air in my lungs a blessing each day, being around my wife and kids, and amazed at it all with radical gratitude sure is good. Fear is what you allow it to be – After hearing that prognosis when I was fifteen, was not thinking about moving forward that much. Then I realized, I can address it by facing it. No kid wants to hear their life will be short and difficult. I knew what I had to do, and though there were doubts at times, it was my mind that was allowing it. Take courage and face the fear, and don’t let it stop you from moving forward with your life. Experience means growth – The greatest gifts in life can be the plans that don’t go as planned. That was the case for me and the relationship with my mom, whom I did not get to know until I was an adult. When I left America at age nine, did not foresee or even imagine would be close as we have become, though would not recommend the experience. I guess by not expecting something or having a preconceived notion about it, I can appreciate it for what it is, accept what happened, and step forward with what I’ve learned. It comes in handy with what is yet to be experienced. What you have is today – You may have heard that saying “Tomorrow, that mystical land where 99% of all human productivity, motivation, and achievement is stored.” Life is lived today, and needs to be dealt with as it is today. Not where we were, should be, or want to be. Stay close to your family and friends, and there is much to be thankful for around you. Appreciate today as it is where you need to be to get to where you want to go tomorrow. It takes time – Ever experience instant results? Were they the best? If so, what is there to look forward to? Patience seems to be underrated and is misconstrued as waiting rather than working towards something that is worth the anticipation. It is about a sense of accomplishment of staying focused, calm, and steadfast..and takes time. Will always treasure my first marathon experience in 2015, I took a chance and followed my heart; learned that I had to be willing to struggle as each mile had a purpose that has impacted, encouraged, challenged, and inspired me over the years to be a better version of myself. As I am training for Marathon number three, the 40th Richmond Marathon on November 11, 2017, I am reminded of an African proverb “If you want to run fast run alone, if you want to run far run together.” Having many friends and family around me affected by cancer, and the struggle, I running this 26.2 for Connor’s Heroes Foundation; a non-profit organization that was founded based on a Richmond family’s journey through cancer with their son, Connor Goodwin. They are paying it forward by ensuring fighting childhood cancer a journey a family never faces alone. 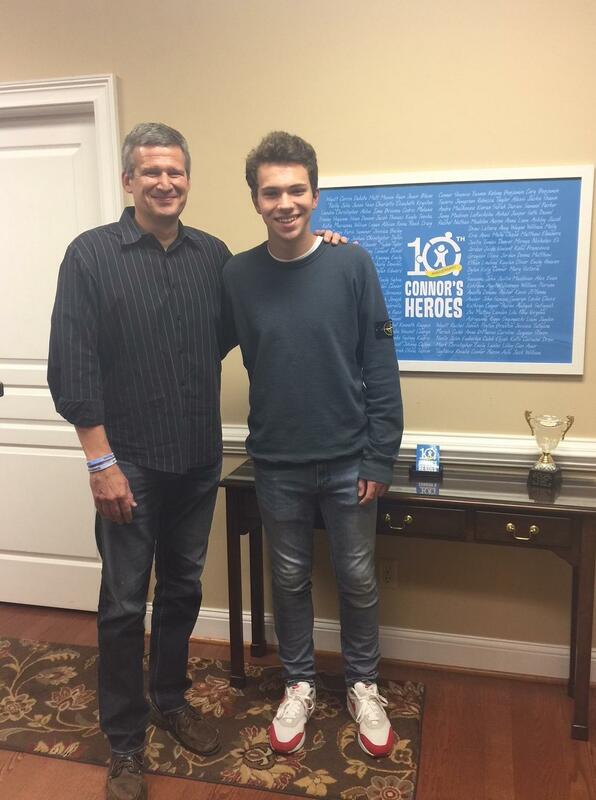 Me and Connor Goodwin; honored that we are going to finish the Richmond Marathon together. Building strength, it requires being open to the struggle. Let it be the fuel to strengthen you through the ups and downs of the ocean waves that life brings. Love your message and you! I had a feeling that chest cutting doctor was full of hubris and wrong. You have to live by faith and what makes sense in your heart.